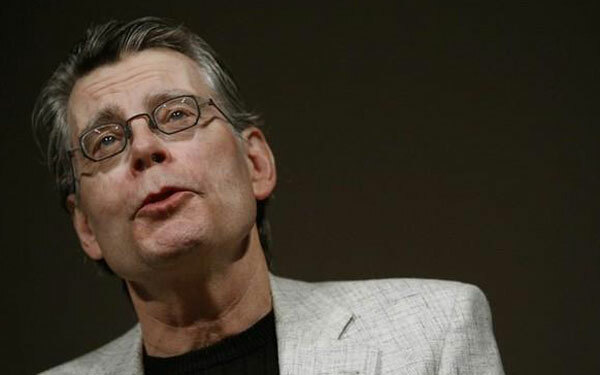 Few authors have received as many film and television adaptations as Stephen King. I wouldn’t call myself a King expert, but I’ve read a decent amount of his books, at least most of the well-known releases. Looking at the movies, one glaring omission for me so far is The Green Mile. The three-hour-plus running time is the predominant factor. Putting together this list was fairly easy. There is a strong group of choices that stand out from the extensive pack. The main question was the honorable mentions, which were a bit trickier. I should note that Carrie and Misery were removed because I’ve only seen the major scenes, not the entire films. It wasn’t fair to include them based on incomplete viewings. Also, I considered both movies and TV to give a complete look at the subject. Let’s get to the picks! Both an old-school horror film and a grisly monster movie, The Mist is most unique for its nihilistic ending, which is a serious punch in the gut. It also maintains a claustrophobic tension as the small-town residents are trapped in a local grocery store. When Marcia Gay Harden’s crazed religious zealot starts taking over, you know this isn’t going to end well. 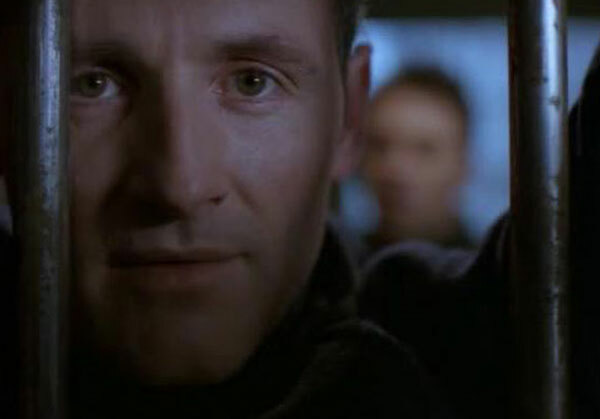 Storm of the Century is an underrated morality tale where Colm Feore’s demonic force Andre Linoge pins the townsfolk in a corner. The opening of this four-hour miniseries is effectively creepy and introduces Linoge with just the right aplomb. The revelation from this show is Feore, who dominates the screen and is a brilliant villain. Adapted from the King short story “The Body”, this nostalgic coming-of-age tale depicts four 12-year-old buddies as they share a life-changing adventure. Strolling down the railroad tracks in search of a dead body, they encounter a series of obstacles along the way. It’s a charming film that sneaks up on you and is more powerful than you might expect. There are some classic scenes, including a dangerous encounter with an incoming train and the arrival of some nasty leeches. 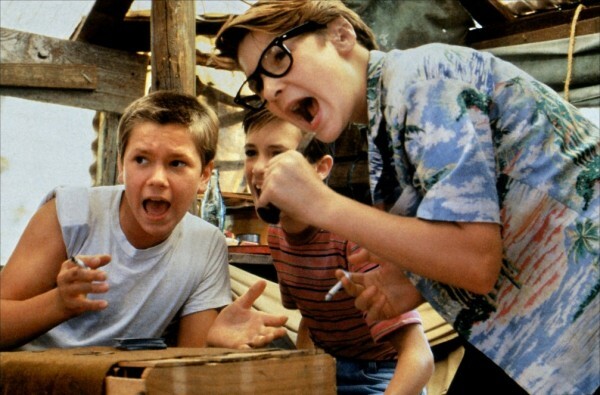 River Phoenix and Kiefer Sutherland stand out in early roles, and Wil Wheaton is well-cast as the King surrogate. I watched this surprising and understated movie while preparing for a David Cronenberg podcast, and it’s a unique part of both his and King’s career. 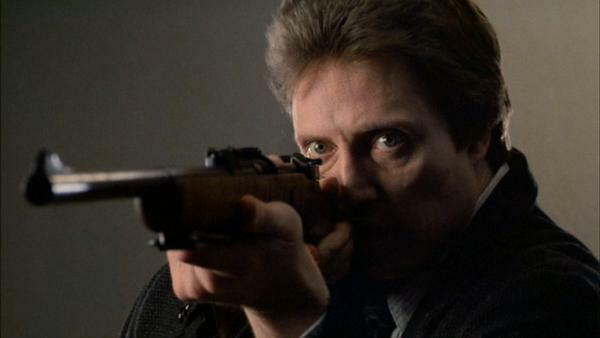 Although there are supernatural elements, it’s primarily a character piece focusing on Christopher Walken’s Johnny Smith. Clocking in at a brisk 103 minutes, the thriller does its job and doesn’t waste time on unnecessary scenes. Martin Sheen is chilling as a crazed politician who may bring about the end of the world. Smith’s psychic ability allows him to see tragic events before they happen, but it’s also a curse that makes him a sad loner. Walken’s rarely been so interesting on screen, and Jeffrey Boam’s screenplay never lets him down. Frank Darabont (a second appearance!) does a great job translating King’s short story “Rita Hayworth and Shawshank Redemption” and avoids the clichés rife in the prison genre. It manages to be uplifting without beating us over the head with the drama. The many devoted fans have placed Shawshank at #1 on the IMDB Top 250 above the expected classics. This would be the obvious top choice for this list, and it’s a well-deserved pick. I’m just slightly more enthused about the next two adaptations. 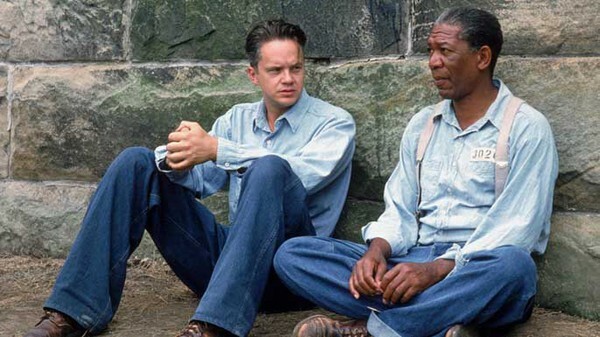 Tim Robbins and Morgan Freeman are at their best, and the supporting band of character actors is outstanding. This epic novel is nearly 1,500 pages, so even a TV miniseries had to make some serious cuts. Airing on network television, this six-hour adaptation employs an excellent cast to deliver a surprisingly faithful adaptation. There are some limits on the effects, but it’s actually more expansive than you might expect. 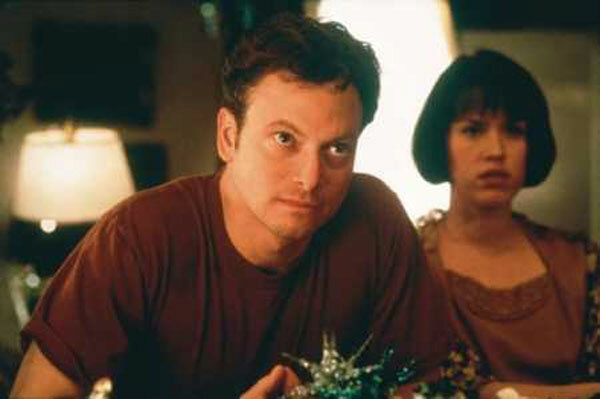 Gary Sinise is the ideal moral center as Stu Redman, the regular guy who’s one of the few survivors of the apocalypse. Molly Ringwald, Miguel Ferrer, Rob Lowe, Ossie Davis, and an excellent Ruby Dee shine as the heroes facing the evil Randall Flagg (Jamey Sheridan) and his minions. The long form of television is definitely the right place for King’s characters, and it leads to a gripping and emotional story. Although it drastically changes King’s source material, Stanley Kubrick's film is stunning and one of the great horror films of all time. It’s filled with unforgettable imagery, particularly the blood rushing down the hotel corridors and the utterly creepy twins. This is an example where Jack Nicholson’s mania works perfectly to show Jack Torrance’s mental destruction. Shelly Duvall is completely overmatched, but that’s the point since it matches how the characters interact. Amazingly, Kubrick was nominated for a Worst Director Razzie, which is just ridiculous to consider. 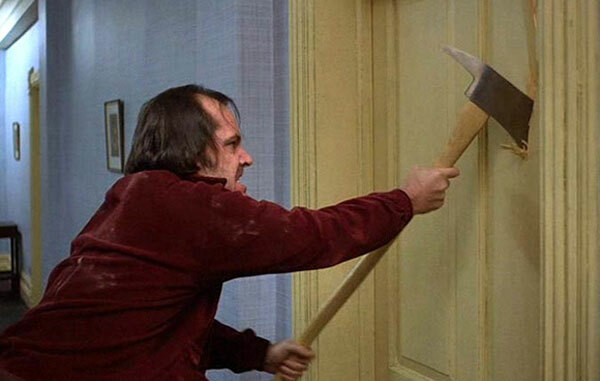 It’s a divisive film for King fans, but The Shining remains a frightening and remarkable piece of cinema. I think I'd leave The Stand off. I really enjoyed the first part of it, but didn't find a lot to love elsewhere. The made-for-TV I would include in its place is original Salem's Lot (not the one with Rob Lowe), which was surprisingly scary. Steve, I agree that the first part of The Stand is the strongest, but I think the cast pulls off even the clunkier moments near the end. I know there are some flaws, especially with a few characters like Harold, but looking it at overall, it's still one of my favorite King adaptations. I haven't seen Salem's Lot yet, unfortunately. My favorite is The Shining too... Also I've recently seen The Shawshank Redemption and was surprised it's a Stephen King adaption. I once tried to read "Salem's Lot" and even though horror films never affect me, I got nightmares so I stopped reading ;). Mette, you're right that Shawshank definitely stands apart from the typical King stories, and Stand by Me is also much different. Both are based on shorter novellas. I think that King's books can sometimes be scarier than the movies. The Shining is a good example and is even creepier on the page, which is saying a lot. Thanks! Nice list, Dan! Every time I read about The Shining being divisive I just get confused. It's an amazing, beautiful, chilling film. How do people not like it? Thanks Kate! I totally agree about The Shining. I think some King fans don't like the big changes to the book, but it's such a stunning movie and so creepily great that it works really well. Nice list, but I think I'd pick Carrie as my favorite King adaptation. Of course, I'm a huge De Palma fan. I just reread the intro and saw why you didn't include Carrie. I should've read that better the first time. But yeah, it's a movie well worth checking out. Dave, my thoughts on De Palma vary widely depending on the movie. He's always doing something interesting with the camera, even in his lesser movies. It would be tough for Carrie to top this list, but I'll have to check it out. Thanks! Interesting list Dan. I really liked The Mist and obviously The Shawshank Redemption is a favorite for many, many guys. I haven't seen The Stand but I do think The Green Mile is worthy of a top 5 despite its run time. Castor, it's possible The Green Mile is worth making the Top 5 list. I just haven't seen it yet. It's on the my list. I also really like Shawshank, just slightly less than the top two. Thanks! My top 3 would be The Shawshank Redemption, The Green Mile, and Dolores Claiborne. Among TV adaptations, the original Salem's Lot was quite scary. As for The Stand, I've got to agree with other commenters - the first episode was great; the rest, so so. As for The Shining, I don't just think it is overrated; I actively dislike it. I have never read a Stephen King book, so I am not bothered by how much it might or might not have been changed. To answer the question of an earlier commenter, I dislike it because it is very, very, very, very boring, then it just becomes silly. I wasn't ever scared, spooked, and never even felt any suspense or tension. I found myself mostly watching the backgrounds of scenes, appreciating the tremendous sets that were used. When the best thing you can say about a movie is the sets were great, that's not a sign of a very good movie. And, yes, I realize I am in the small minority with this opinion, although Stephen King really hates it. 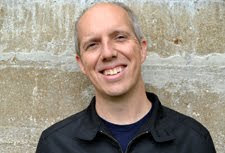 Chip, I can understand why King would hate Kubrick's version of The Shining because he made significant changes and used the source material as a framework to provide a different experience. I'm surprised that you mention it being boring. I feel like it does a great job slowly building up the suspense, which makes even the slow moments really creepy. Looking at your top 3, I haven't seen The Green Mile, and I'm not a big fan of Dolores Claiborne. It's funny because my main reason is that it was boring, despite some good acting. I'm also not a huge fan of horror films. I'll make an exception if I hear a lot of great things, but I'm not usually running to watch them. I haven't seen Misery yet, though I've obviously heard a lot of raves. I've caught a lot of King adaptations, so I'm sure that I'll get to it soon. Thanks for stopping by!